The new SAPPHIRE HD 7700 series is a new family of graphics cards targeting the enthusiast on a budget and mainstream users looking for increased graphics performance. 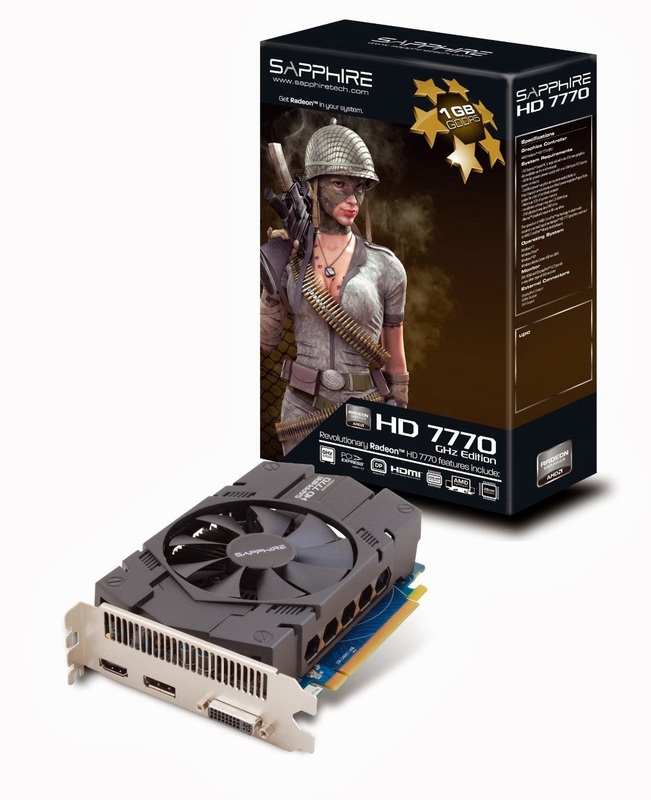 It is based on the second family of GPU’s from AMD built in its new 28nm process and featuring the highly acclaimed GCN optimised graphics processing architecture.This is a great mid-level card for the money. A quick download of the latest Catalyst drivers for 7xxxx cards and it was running perfectly. For under a hundred dollar this is about as good as it gets, and that's not too shabby at all. It runs quietly and with fan speed control . 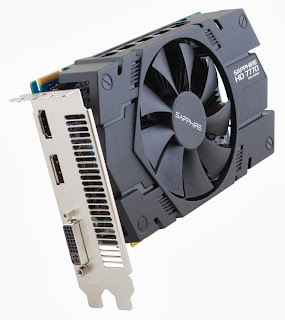 It has a connection for power, but doesn't draw an excessive amount where most folks would need to buy a new high power PSU. It should work fine with 400+ watts, and if you have 500 watts then there wouldn't be any issues. Size - For the power it delivers, this card is very small. It's wide enough that it still consumes 2 slots worth of space across the back of your motherboard, but it's only half the length of most video cards in this class. This makes it excellent for small cases. Power - It only requires a single auxilary power cable from your power supply. I run this system on a 450w unit. Noise - This is barely a con. It's not silent, but it doesn't sound like a vaccuum cleaner either. It does make your system a little noisier, but unless you are very sensitive to these things, it certainly isn't a deal breaker. Only one Cooler fan, Should have two by default. CPU must be at least i3 3220 ,equivalent or greater to avoid bottlenecking. 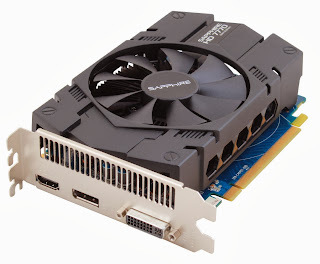 PCI 3.0 == PCI 2.0 for this GPU, no use of PCI 3.0. as 129bit and 72Gb/s default. 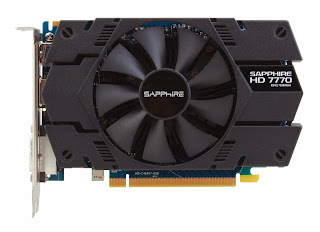 Card Dimensions- 8.66" x 4.33" x 1.38"
This isn't a graphics powerhouse. Yes, you can run modern games at high detail at acceptable frame rates. Just don't expect to run brand new games on ultra settings at 1080p and get a solid 90 fps. You're going to spend a LOT more money for that.